The Hunger Games. hallo guys! Creating a couple of 'Hunger Games" photos. Uploading meer later. 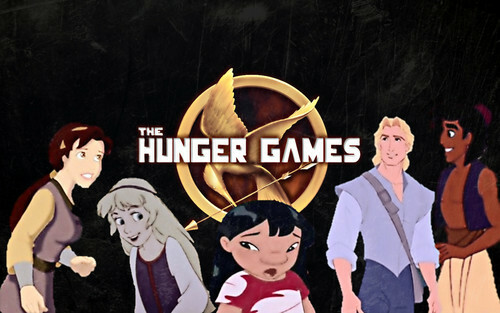 Kayley: Katniss, Gale: John Smith, Peeta: Aladdin, Rue: Lilo, Primrose: Eilowny. HD Wallpaper and background images in the disney crossover club tagged: disney crossover disney crossover.